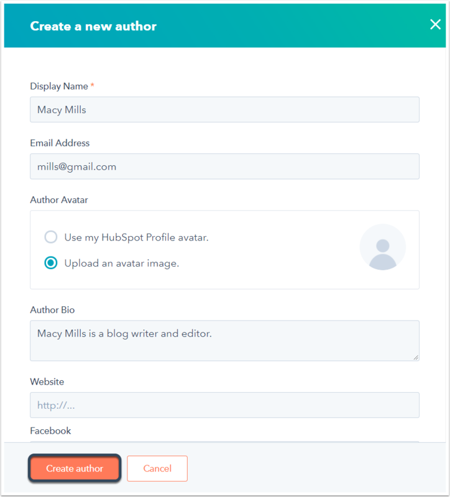 Learn how to create and manage your blog authors in HubSpot. On the left sidebar menu, select Authors. Enter your new blog author information. The Display Name field is required. This author will now be available to add to any of your posts for this blog. Enter your author's profile information, then click Update blog author to publish the changes. Hover over the author whose profile you want to edit and click Edit full profile. Hover over the blog post you want to update and click Edit. 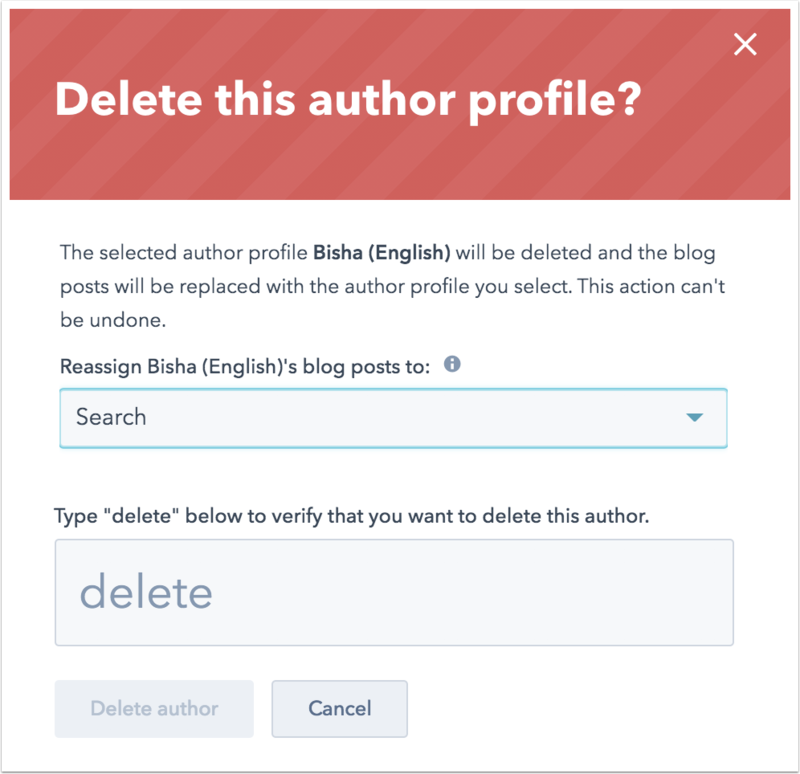 Use the Authors dropdown menu to select a blog author for the post. You can also click + Create a new author to add a new author from here. Select the checkboxes next to the authors you want to combine, then click Combine. In the dialog box, you'll see the names of the authors you've chosen to combine. 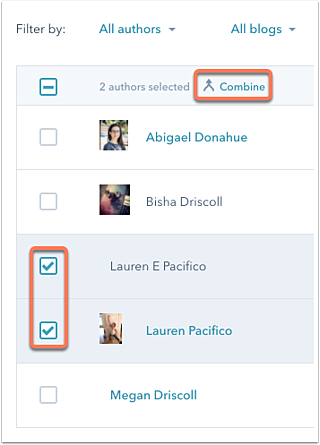 Use the Choose an author dropdown menu to select the author you want to keep and associate all current posts with. 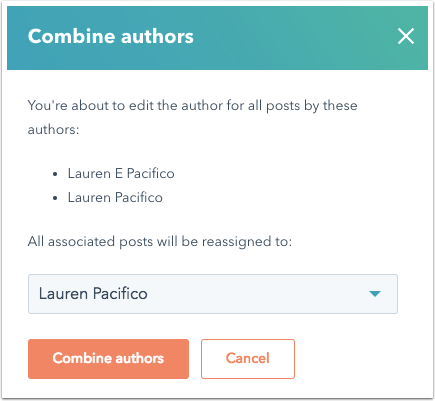 Then click Combine authors. In the left sidebar menu, click Authors. Hover over the author to delete and click Delete. 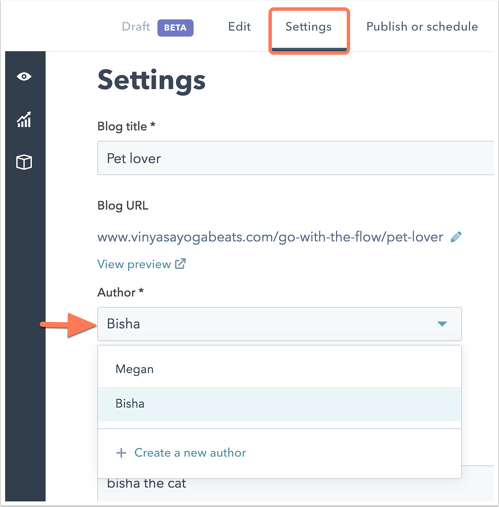 In the dialog box, if the author has any blog posts, click the Choose an author dropdown menu to select an author that will replace the current author in the existing live posts.